The position of song leader is important. Just as orchestras need good conductors and armies need good officers, churches must have the right song leaders if they are to have effectual song services. An individual can worship God alone effectively if he is so inclined, but a congregation must be led. That is why God has ordained leaders and has set forth high qualifications for them. It is true that the New Testament does not spell out the position of song leader or music director, but the Old Testament plainly sets forth this pattern and there is no need to restate it in the New. God tells us that the Old Testament is for our example today (Romans 15:4). The song services are too important to be given into the hands of just anyone who happens to be available. Like everything else, we pray for God to raise up the right people for this ministry. To look around and find no one qualified for a ministry is an opportunity to pray to God in faith that He will supply the needs of His house. We look for those who have the spiritual qualifications required of all church workers, plus they need to understand music and, ideally, have some ability to play a musical instrument. We also look for leadership ability. The song leader must be a leader. He might not be a pastor, but he is a leader of the song service. I spend a lot of time and effort training song leaders in our missionary work, and the heart of the material I use is found in this report. The Bible teaches us that God loves spiritual singing. The largest book of the Bible is a song book. Jesus will sing in the congregation in the kingdom (Heb. 2:12). He is the Creator of the human voice. He is the Creator of singing. How wonderful it will be to hear the Man of mans sing! David was a skilled musician who created musical instruments with which to praise the Lord (1 Ch. 23:5). He established an elaborate music service in the tabernacle. See 1 Chronicles 15:16-24. There are many lessons in this passage. The musicians were appointed (v. 16). They did not choose their own position. They lifted up their voices with joy (v. 16). There were both singers and instruments (v. 16). They used many instruments: cymbals (v. 19), psalteries (v. 20), harps (v. 21), trumpets, (v. 24). Note that there were no drums. The singers and musicians were instructed (v. 22). They were skillful (vv. 21, 22). God deserves the very best, and God’s people must always aim to be as skillful as possible in His service. Before his death, David prepared for the music program in the temple. See also 1 Chronicles 25:1-7. We see similar lessons here. They gave thanks and praised the Lord (v. 3). The singers were under direction of leaders (vv. 2, 3, 6). They ministered the Word of God in music (v. 5). They were instructed and trained (v. 7). They were skillful (v. 7). They prophesied with instruments (vv. 1, 2, 3). I believe that this shines light on 1 Corinthians 14:24, which describes a church service in which “all prophesy.” In this passage, prophesying is defined as speaking to “edification, and exhortation, and comfort” (1 Cor. 14:3). The saints can prophesy in many ways: by preaching and teaching, by singing from the heart, by playing musical instruments skillfully unto the Lord. Solomon established the music ministry in the temple. See 2 Chronicles 4:12-13. They played as one (v. 13). There was unity and harmony rather than confusion. This requires a lot of skill and practice. Hezekiah re-established the music ministry. See 2 Chronicles 29:25-30. This was after the temple had been shut by Ahaz (2 Ch. 28:24). We see that the music service in the tabernacle and temple had been commanded by God (2 Ch. 29:25). In ancient Israel, the music associated with the worship of Almighty God was carefully prepared and skillfully performed with godly oversight. All too often the church’s song service is led by individuals who know almost nothing about what they are doing, who lack the skill, enthusiasm, and spirituality to do a good job and aren’t interested in getting a proper education to improve their ministries. No wonder many are tempted to move to a church that has an enthusiastic contemporary worship service. No wonder young people often think of church as dull. I received an e-mail recently from a woman who informed me that her family left an independent Baptist church that was lifeless and that they are now happy members of a lively, contemporary Southern Baptist congregation. That’s too bad, but I wonder how many people have turned away from the truth because it was presented in a lifeless, incredibly boring manner! A doctrinally correct church that is dull, half-hearted, half-dead, and mediocre does not glorify the Lord. God’s people are instructed to do everything heartily (Col. 3:23). In fact, if a church is truly lifeless and boring, it is not a real Christ-centered Bible church, in my estimation, because Jesus Christ and the Bible are the most exciting “things” on earth! This verse describes the kind of church that can offer acceptable worship to God in song. (1) The members must be filled with the Spirit (v. 18). This means to be surrendered to the Spirit, to be controlled by the Spirit, to be led by the Spirit. It is talking about obedience to God and submission to God’s authority in one’s life. (2) The members are to speak to one another in song (v. 19). “Yourselves” is plural. The song service is for ministering to one another by the message of the song. (3) The members are to make melody in their hearts (v. 19). The singing is to be from the heart, with understanding, with spiritual zeal, not a religious ritual. (4) The singing is to be “to the Lord” (v. 19). The people must direct their hearts to the Lord in a conscious way. The singing is “to the Lord” in the sense that it is for His glory, and it is “to the Lord” in the sense that the words are directed to Him. (5) The church is to be thankful (v. 20). The thanksgiving is to be directed to the Father through the Son. The Father is the source of all blessings, and the Son is the channel of the Father’s blessings. This verse further describes the kind of church that can offer acceptable worship to God in song. (1) The Word of God must dwell richly in the believers’ lives. This must be every church’s goal. It is done by good teaching and preaching that builds the people up in God’s Word, by leading the people in Scripture memorization, and by helping each believer to be an effectual Bible student. (2) The Word of God must dwell with wisdom, meaning that God’s people must understand the Scripture and it must get down into their daily lives and bring forth holiness and spiritual wisdom. (3) The Word of God is to be taught. Every believer is to be a teacher (Heb. 5:12-14). One of the purposes of the singing is to teach one another through the message of the songs and hymns. (4) The members are to sing with grace in their hearts. This is the grace of salvation. The church must be careful about receiving members, looking for true salvation. (5) The people are to sing to the Lord. The singing is not only for teaching one another, it is addressed to the Lord. Every song should be sung for the Lord, and some songs are sung directly to the Lord. Everything is to be done for His glory and pleasure. If a church is young and the congregation small, it is understandable that there might not be proper musicians and song leaders. No one expects a young church to have everything that a more established church has. Under such conditions, the church must do the best it can with what it has and beseech God for growth. We are referring here to churches that could do better in this matter but don’t simply because it is not a priority. They are content with mediocrity and dullness. The song leader should dress properly according to the situation. If he is leading in a church service, he is leading in the most important forum on earth. The church is the house of God, the pillar and ground of the truth (1 Tim. 3:15), and if men “dress up” for anything, they should dress up for the formal assembly of God’s people in God’s house. People dress up for visits to the White House and meals at classy restaurants and formal weddings and professional orchestra concerts, but the contemporary philosophy promotes a “dress down, be casual” approach to church. We don’t believe that it honors God. Good song leaders lead rather than follow. Many song leaders seem to think that their job is simply to announce the song numbers and sing along with the congregation. But that’s not leading. A robot can do that. A song leader’s job is to lead, and that entails many things. The song leader should lead by explaining what the song service is all about, not with lengthy expositions but with brief and hearty comments and instructions. He should lead by teaching the people how to sing properly unto the Lord. He should lead by very briefly explaining the message of difficult songs. He should lead out with his voice. We would note that when the song leader stops singing during a hymn, it is distracting to those who are following. He shouldn’t stop singing unless absolutely necessary, such as a cough. He should lead by his enthusiasm. He should lead by encouraging the people to sing. A great many church members either barely sing or don’t sing at all, and that is wrong. God’s people need to be taught that the song service is not for the individual. It is not something that each person decides whether or not to participate. The song service is for the Lord. It is supposed to be an act of worship. To not sing or to half-heartedly sing during congregational singing is dishonoring to the Lord. We are to sing to one another and to the Lord (Col. 3:16). How can you obey that if you don’t sing out heartily? He should lead by introducing variety into the services, and in many other ways. It is said that “everything rises and falls on leadership,” and there is great deal of truth to that. Consider the following examples from the Psalms. Note how the Psalmist exhorts the people to sing and praise God with him. He does not berate or scold. He encourages and instructs and leads, reminding the people why they should praise the Lord. “Sing unto the Lord, O ye saints of his, and give thanks at the remembrance of his holiness” (Psalm 30:4). “O magnify the Lord with me, and let us exalt his name together” (Psalm 34:3). “Sing praises to God, sing praises: sing praises unto our King, sing praises. For God is the King of all the earth: sing ye praises with understanding” (Psalm 47:6-7). “Exalt the Lord our god, and worship at his holy hill; for the Lord our God is holy” (Psalm 99:9). “Make a joyful noise unto the Lord, all ye lands” (Psalm 100:1). “O give thanks unto the Lord; call upon his name; make known his deeds among the people. Sing unto him, sing psalms unto him: talk ye of all his wondrous works” (Psalm 105:1-2). “Praise ye the Lord, O give thanks unto the Lord; for he is good: for his mercy endureth for ever” (Psalm 106:1). “Praise ye the Lord. Praise, O ye servants of the Lord, praise the name of the Lord” (Psalm 113:1). “O praise the Lord, all ye nations: praise him, all ye people. For his merciful kindness is great toward us; and the truth of the Lord endureth for ever. Praise ye the Lord” (Psalm 117:1-2). ‘Praise ye the Lord. Praise ye the name of the Lord; praise him, O ye servants of the Lord” (Psalm 135:1). “Praise ye the Lord: for it is good to sing praises unto our God; for it is pleasant; and praise is comely” (Psalm 147:1). “Praise ye the Lord. Sing unto the Lord a new song, and his praise in the congregation of saints” (Psalm 149:1). “Praise ye the Lord. Praise God in his sanctuary: praise him in the firmament of his power. ... Let every thing that hath breath praise the Lord. Praise ye the Lord” (Psalm 150: 1, 6). The Psalmists were good song leaders! The song leader represents the church and Jesus Christ, and he should therefore be well prepared. He should be prepared week by week by prayerfully seeking the Lord’s will for the service, by choosing the songs prayerfully and wisely, by preparing his own heart before the Lord. He should also prepare himself by doing all he can to learn how to be a better song leader. It is not absolutely necessary that the song leader be able to read music, but it is a great advantage if he can. Learning how to read music is not that difficult if a person is willing to make the necessary effort. 1 Corinthians 14 is about church services and spiritual gifts, and the theme is edification. Twenty times in that chapter we find the words “edify,” “know,” and “understand.” Paul says, “Let all things be done unto edifying” (1 Cor. 14:26). This means that music used in church services should not be for entertainment. That is not the purpose of church services. The objective is spiritual edification. According to Ephesians 5:19 and Colossians 3:16, our music should minister in three directions: toward the Lord (Eph. 5:19), toward ourselves (Eph. 5:19), and toward others (Col. 3:16). This means that each song should be selected because of its message. If the message is weak, there is little or no edification. Further, if the message of the song is spiritual but couched in words that are not understood by the congregation, there is still no edification. Many of the old hymns use words that must be explained. The song “Beulah Land,” for example. What is Beulah? Unless the people know the meaning of that word, the song will be nearly meaningless. There is the same problem with “Here I raise mine Ebenezer, hither by thy help I’m come” in the song “Come Thou Fount.” The song “A Mighty Fortress Is Our God” contains these words: “Lord Sabaoth is His name, from age to age the same...” Unless the people know what Sabaoth means, they will not be edified by that part of the song. It is the song leader’s job to explain such things in a concise manner. I don’t mean that he takes 10 minutes to discuss each song. That can become tedious and can discourage the people. The song service is not about the song leader explaining things; it is about actually singing the songs of Zion to one another and to the Lord (Eph. 5:19). The song leader must be careful that he not interpret the service continually with lengthy testimonies and discussions, but it is important to take a moment to define lyrics that might not be understood and to briefly reinforce the message of the songs. The people need to be taught and reminded to think about the words of the songs. No matter how spiritual the songs are, if the people are not meditating on the message, no edification is accomplished. It is a song leader’s job to lead the people in this matter, to help them focus their attention, not to berate them but to encourage and lead them. The Lord Jesus Christ said, “God is a Spirit: and they that worship him must worship him in spirit and in truth” (Jn. 4:24). Our song services should be spiritual. The music should not please the flesh, should not be worldly. In this day when the world’s music is creeping into the Lord’s house, song leaders must be on guard continually against this type of thing. If it sounds like the world’s dance or sensual entertainment music, it is not fitting for the house of God! “And be not conformed to this world...” (Romans 12:2). “Love not the world, neither the things that are in the world. If any man love the world, the love of the Father is not in him. For all that is in the world, the lust of the flesh, and the lust of the eyes, and the pride of life, is not of the Father, but is of the world” (1 John 2:15-16). “Ye adulterers and adulteresses, know ye not that the friendship of the world is enmity with God? whosoever therefore will be a friend of the world is the enemy of God” (James 4:4). An example of a popular contemporary song that contains false teaching is “Majesty.” The author, Jack Hayford, is a popular Pentecostal preacher who believes in tongues speaking, healing in the atonement and such, and his song reflects his theology. The song says, “Majesty, kingdom authority...” What is this kingdom authority? It is the unscriptural charismatic doctrine that believers have apostolic authority here and now. Thus the song leader must ever be on his guard against false doctrine, so that we are worshipping God in truth. There is no reason why our song services should be boring, and the song leader has a lot of responsibility in this regard. If he has no enthusiasm and leads in a boring manner, the congregation will probably reflect that. An important part of a song leader’s job is choosing the songs, and this requires that he understand the different categories and purposes of the songs. Ephesians 5:19 gives two basic purposes for Christian singing: “Speaking to yourselves in psalms and hymns and spiritual songs, singing and making melody in your heart to the Lord.” One purpose is to exhort and encourage and instruct one another in Christ, and the other purpose is to praise the Lord. There are songs directed toward man and others directed toward God. The songs and hymns in a standard hymnbook in Baptist churches can be grouped into one of these general categories. The following are a few examples of the various types of songs and hymns in a standard hymnbook. The second broad category is that of “singing and making melody in your heart to the Lord.” There are four basic types of worship songs and hymns that come under this category: (1) those with lyrics that are directed to God or in direct praise about God; (2) those that are meditative and that reflect upon God; (3) those that are testimonies about God, and (4) those that are prayers to God. And Can It Be That I Should Gain? Alas and Did My Savior Bleed? These are in the category of worship to God because the believer’s testimony is all of God and because of His love and grace. If we are going to worship God in song we have to use songs that are truly worshipful. A proper selection of songs and hymns is therefore basic. 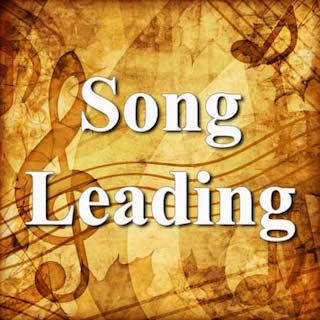 The song leader must understand the purpose of the various songs and hymns and make a wise, Spirit-led choice for each service. Those who are in charge of the church’s music must have spiritual discernment so they can select godly songs and reject those that are worldly and that appeal to the flesh. One of the chief ways that contemporary music enters churches is through the specials. I witnessed this on a recent preaching trip to 12 churches in three countries. About half of the churches allowed special music that was at least mildly contemporary. In each of these cases, the congregational music was traditional, while the special music was contemporary. I learned that the men in charge of the music did not know how to discern contemporary music. Too many churches are stuck in a rut with their song services. “Victory in Jesus” is a wonderful song, but when it is sung every week for fifty years, even a wonderful song can grow tiresome! There are hundreds of songs in the traditional sacred hymnbooks, but many churches sing only a few of them. Variety is the spice of life. The largest book in the Bible is Psalms, and God has provided 150 different psalms in this inspired hymnal. New songs should be introduced regularly and then sung frequently until they become an integral part of the church family’s ever-enlarging song repertoire. One of the best hymnals with the largest selection of songs that we have seen in one volume is SONGS AND HYMNS OF REVIVAL. It is published by North Valley Publications, Santa Clara, CA (We don’t recommend the music published by Golden State Baptist College.) Majesty Music’s hymnal Majesty Hymns contains many beautiful songs which were written in the last few decades. (We don’t recommend Majesty Music’s latest hymnal Rejoice Hymns, as it contains many contemporary worship songs by Getty/Townend and others. It is sad to see Majesty Music moving in this direction.) This music is contemporary in the sense that it is new but it is not contemporary in style. Singing Scripture is a wonderful way to praise the Lord and edify the saints. During the Sunday evening services, for example, some churches sing Scripture songs. Two sources for these are North County Baptist Church, 221 W. 9th Ave., Escondido, CA 92027 and Tri-City Baptist Church, 4500 Selsa Rd., Blue Springs, MO 64015. Not only do these introduce variety within the music program, but nothing surpasses the actual words and verses of Scripture for doctrinal purity. Even the most familiar songs can be made more interesting by an imaginative change in the manner of presentation. There are endless means of singing old songs in new ways (without going contemporary). (1) Musicians can drop out while the congregation sings a capello. (2) One verse can be sung by the women, the next by the men. (3) One verse can be sung by the young people, another by the old people. (4) The choir, singing group, or soloist can be accompanied by the congregation in places. (5) An instrument can play the first stanza and chorus and then the congregation can come in and sing. (6) The timing of the song can be altered. (7) The chorus can be sung with a little more enthusiasm and volume as the song progresses. (8) Some songs can be sung as a round (e.g., Mat. 6:33). (9) Some stanzas or the chorus can be slowed down in tempo to allow the people to better think about the words. The song service can be spiced up with the multiplication of musical instruments. Some of the most enjoyable song services I have participated in have been those accompanied by small orchestras. The Majesty Hymnal offers complete orchestrations for each song in the volume. The song service is not just about one man leading; it is a ministry of the entire church and the more the whole church is involved, the better. “Now ye are the body of Christ, and members in particular” (1 Corinthians 12:27). Once a month our church has a song service in which the people take turns quoting or reading a favorite verse and then choosing a hymn. We sing the first two stanzas of the hymns to allow more people to participate.